For Christmas last year, I gave my cousin’s son Ben a Moon Dough Barnyard Kit. When Ben opened his present, he yelled out “Moon Dough! It never dries out!” Adorable. Does everyone know what Moon Dough is? It’s supposed to be Play-Doh’s neater sibling, but it has a very odd texture and apparently it still ends up being pretty messy and annoying. I did not know this, but was informed by Ben’s mom, Laura. 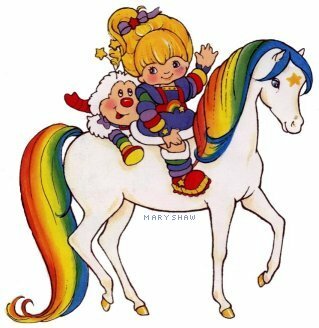 Laura also recommended that I bake rainbow cookies for the blog, and since those are one of the most annoying recipes known to woman, I’m thinking this is some sort of payback. Well played, cousin. Also, I have a lot of cousins, right? So, anyway, around Thanksgiving every year (Holiday theme! Hooray!) I turn into a super baker. I am not nearly this productive at any other time in the year in any way, but for some reason, a week before the big day, the transformation takes and I go bonkers. I made these a couple years ago with so-so results. I should say that I was at my parents’ house and, as I’ve mentioned, Mom and Dad don’t measure. I should also tell you that this is when I attempted to make that baklava I spoke of in an earlier post. So maybe no more baking at their place. These cookies are really involved, temperamental divas. Seriously. 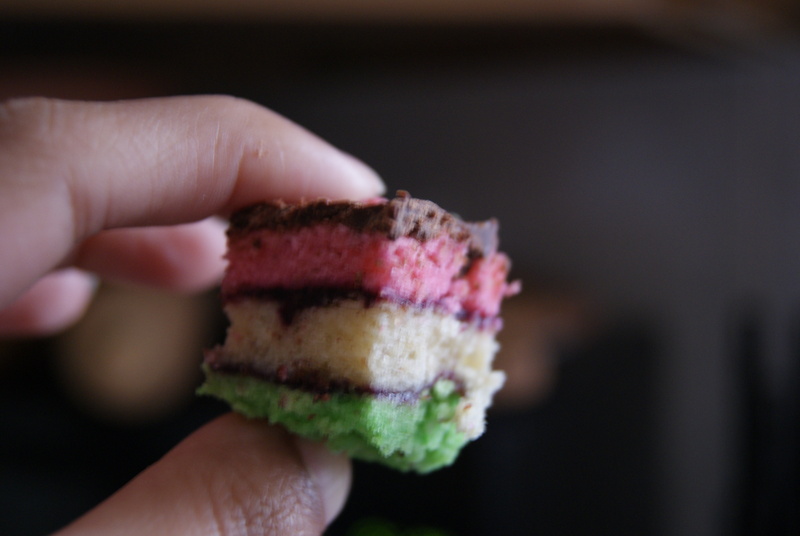 They, like, NEED to be bright and colorful, they NEED to cool and compress in the fridge overnight and the layers absolutely must be baked separately. The nerve, right? Well, some divas have earned the right to be divas, and these cookies are in my top two of all-time favorites. They are absolutely worth the trouble. How do I know this? I know this because after screwing these up once, I cowgirl’d up and tried, tried again. Let’s you and I first talk about what I did, so that I can tell you what you should do. Since I was also making these as birthday treats for friends, I decided to space out the baking process a bit so that I could get these done during the work week. I combined the almond filling with the butter, sugar and egg yolks, whipped the whites in a separate bowl, folded the whites back in, then threw the mixture into the refrigerator. The next night I divided the mixture into three equal parts, colored two thirds of the dough– one red, one green– spread the green mixture into a pan and threw that layer into the oven. I forgot the flour. THE FLOUR. I wanted to cry, but I was meeting friends for a sushi dinner. So I couldn’t cry. I could only eat sushi. The next night, I re-bought most of what I needed. So now, we are going to talk about what YOU need to do to avoid looking like a chump. Now, you can either grease three 9×13 inch pans (That’s if you’re oven is big enough to handle three of these at once, in which case, why do you live in a pizzeria? ), or grease one to use throughout the process, which is what I did. Line the bottom of the pan with enough parchment paper to lift the layers out. Preheat your oven to 350°F. Divide the mixture evenly among three bowls. 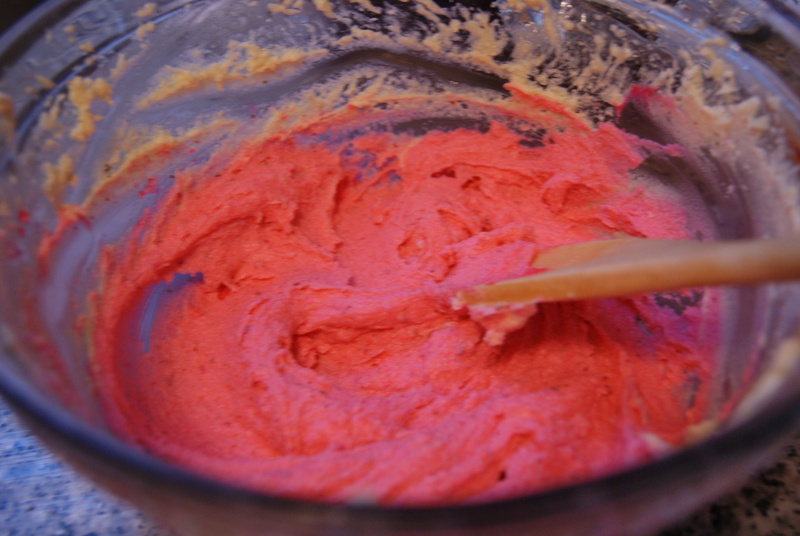 To one bowl, add six drops of red food coloring (more if you like a more vibrate red), and mix in the color until the dough is pinkish. Add your green to another bowl, and leave the third untouched. This one has flour in it. Only took me one wasted batch to figure out THAT was necessary. If you’re using separate pans, spread one portion into each pan. If you’re using one pan for the whole thing, start with the green layer. Spread it evenly into your pan. Don’t worry if it doesn’t spread completely, since it will when it bakes. Throw the pan/pans into the oven for 10 to 12 minutes, until the edges are slightly browned and the center looks set. 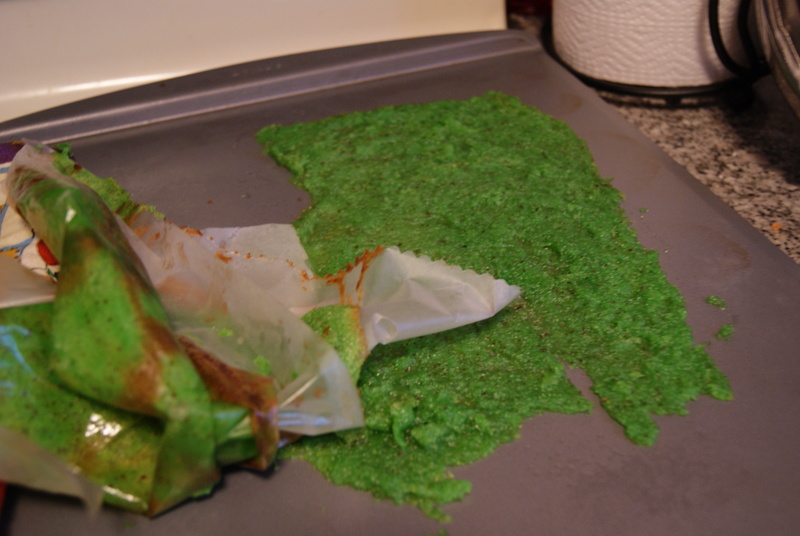 Again, if you’re using one pan, once the green layer is set, pull it out of the oven, flip it onto a cookie sheet, lay more parchment paper into the pan (which will be hot, so cuidado), and spread the uncolored layer out. Throw this one into the oven. I’d pop the green layer into the freezer to speed up cooling in the meantime. After a few minutes, pull the green layer out and spread a healthy layer of jam over it. Go crazy, if you please. Once the middle layer is done, you can take it out, flip it onto the green layer, and spread the last, red portion into your pan. Pop this into the oven, and let the other two cool before spreading more jam over the uncolored layer. Once the red layer is done, flip it onto the top. I wouldn’t worry about layering these portions perfectly. They’re likely not even all going to come out in the exact same shape. Once the whole cookie is cooled, you can cut around the edges to “clean” them up if you please. Let’s be honest– mine looked like a Jenga game gone wrong at first. Once cooled and cut, wrap the almost-finished product in foil or plastic wrap, place a heavy object (like a cast iron skillet) on top of it to compress the layers, and place the whole contraption in the fridge for a few hours. Allrecipes says eight hours, I say ridonkulous, and got away with having these in there for three hours. Take that, world. In the meantime, melt your chocolate chips at 15-second increments in the microwave. You can add a touch of butter to make this easier to work with, which I always advocate. Spread the chocolate mixture evenly over the top layer, then let it cool in the refrigerator for about an hour. You can then cut these into squares, rectangles, octagons, octopi, whatevs. Absolutely worth every ounce of effort. Those look amazing. This is one I’ll definitely be trying.